Welcome to 1388 Apel Drive in Port Coquitlam, a growing family-oriented community. Backing on the Hyde Creek Nature Reserve and steps away from the Traboulay-PoCo Trail, these three homes offer privacy and convenience in a forested setting. 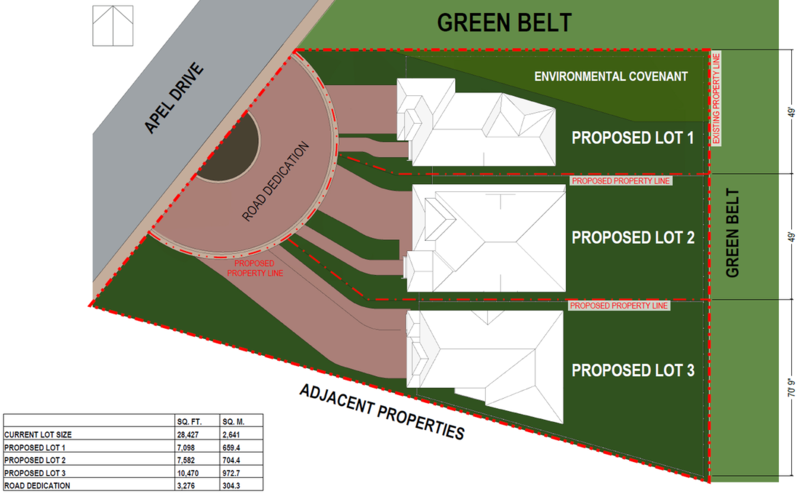 With their own cul-de-sac on quiet and scenic Apel Drive, the three lots have spacious building envelopes. The proposed subdivision meets all City regulations. CityState could turn this proposal into an approval-ready application in a matter of weeks.